Does your fab shop struggle to get jobs done on time? Do your employees make costly mistakes? Do you spend too much time “putting out fires”? 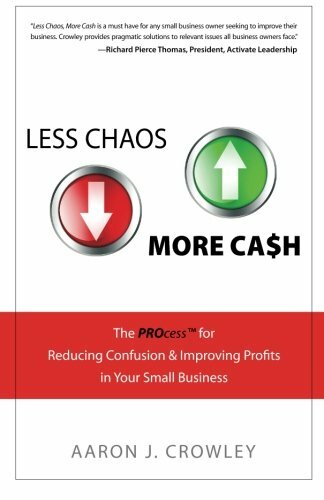 If so, you need to read Less Chaos More Cash right away! This book is Aaron Crowley’s how to book on using a PROcess™ that ensures critical tasks are done right and on time in your business! Enter your info and we will send you an email with a link to the forms. —Dave Cutz, VP – Finance, Paragon Tile & Stone, Inc.